All businesses must comply with competition law. Putting in place a compliance programme can help you to avoid the risk of breaking the law. The CMA recently fined an association of estate and lettings agents, 3 of its members and a local newspaper over £735,000 for breaking competition law. The agents were part of a trade association which tried to stop members from advertising fees or discounts in the local paper. All those involved broke competition law because they were limiting the ability of estate agents to compete with each other on fees. Their actions made it harder for consumers to compare prices and get value for money. What they were doing may also have made it harder for new or smaller businesses to attract new customers. To make it clear that this type of business practice isn't acceptable, we’ve also sent warning letters to other estate and lettings agents who we've reasonable grounds to suspect have been involved in similar activities. Our message to them is simple: if you don’t change your ways, you leave yourself open to significant risk of enforcement action, including the possibility of fines and reputational damage. Whilst this recent case shows that the CMA is prepared to take action, even in smaller markets, where it becomes aware of anti-competitive conduct that might harm consumers, our work doesn’t end with enforcement – we want to get to businesses before they break the law. Forewarned is forearmed, and we're committed to educating businesses so that they understand how important it is to comply with competition law. With this in mind, we’re promoting the lessons learned from this case to others in the property industry to try to prevent them making the same mistakes. We’ve published open letters to companies in the property and newspaper industries and a case study to raise awareness that this type of activity is likely to be illegal and that businesses engaging in it can face significant fines. We've also published a range of guidance to help businesses understand how, on a practical basis, they can make sure they comply with competition law. An effective compliance programme will allow a company to identify and assess practices that may risk breaking competition law and, if necessary, take steps to remedy the situation. To be effective, companies need to create a culture of compliance, which starts with a clear and unambiguous commitment to competition law compliance from senior management. The CMA’s commitment to compliance means that even where we find that an organisation has broken competition law, if it proves they're seriously committed to changing their ways, we will take that into account when considering the appropriate consequences of the anti-competitive conduct. The estate and lettings agents’ case is a good example of this. Whilst all of the parties admitted to breaking the law and received reductions in fines as a result, 2 of the estate agents involved have gone further than simply holding their hands up to being in the wrong. They've both taken significant steps towards changing the way they work so that they don’t break the law again. Led by their board and senior management, they've openly committed to abiding by competition law and have implemented a zero-tolerance policy to behaviour that could put this in jeopardy. In addition, in one of the agencies senior managers have been trained in competition compliance and a new competition manual has been drafted for employees to follow. Newly appointed compliance officers will report to the board and put competition law concerns on their agenda. The measures show that lessons have been learned and that competition compliance will be taken seriously in the future. In recognition of this commitment, both companies received an additional 5% reduction in their fines. a hot topic in boardrooms. Fines and jail terms have shot up in recent years, greatly raising the costs of collusion. 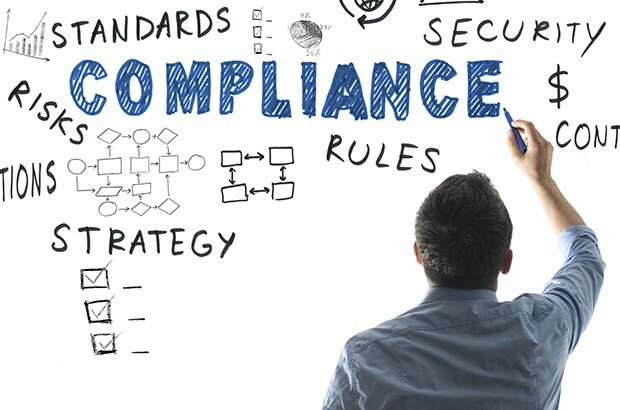 With that in mind, is it time that your company bought into the compliance culture? This is an interesting article. I advise a lot of directors on corporate governance issues. There are a couple of points that come to mind. Where possible the Board should have a framework/ protocol for assessing risk which includes statutory non-compliance risk. In larger companies the risk committee is a sub-committee of the Board and reports its findings to the Board. In addition its also a good idea to have a risk register which includes an action plan for dealing with risk. The second point is that where possible the Board should include a couple of independent non-executive directors with defined roles which could include chairing the risk/ compliance committee. The advantage of non-execs is that they are independent and not employees so they are far more likely to consider/ raise contentious issues. The difficulty in finding a good home to rent, particularly in London, means a lot of tenants forget to check advertised fees. However, I would advise anyone hunting a home to rent to check out the agent's credentials, in particular whether it is a member of the Association of Residential Letting Agents. The fees an agency charges should be clearly available on its website.